Looking to be noticed? Signco can create and eye catching display for your business with Signage. 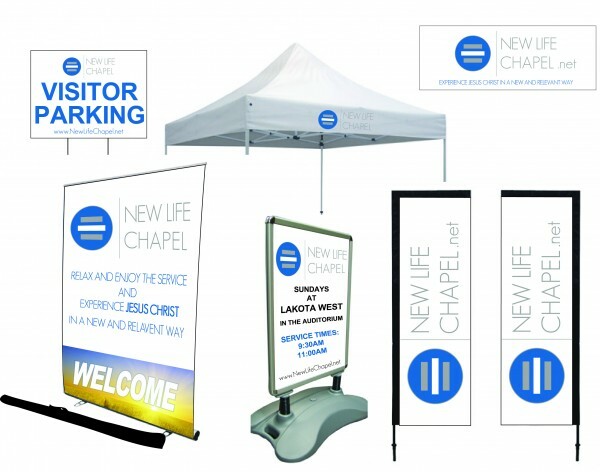 From vinyl banners to large printed graphics, we supply retractable signs, parking signs, flags, tents and more! Our professional sign makers will work one on one with you to create the best showstopping curbe appeal for your company. Have an upcoming trade show? We can provide imprinted tables, backdrops and displays to get your company noticed and admired! Having your logo displayed through Graphic Signs is a great way to look professional and established. Most retractable signs come with a free carrying case for on the go displays. We will help you pick whats right for what you're looking for and provide you with the best quality signage in a timely manner. Signco is the way to go for your one-stop Sign Shop!